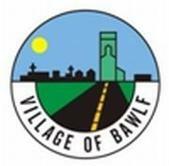 The Village of Bawlf has contracted Camrose County to enforce our bylaws. For every complaint, both an occurrence report and a witness or dog complaint form must be completed. At the Village Office, we hear about dogs all the time. Dogs running free, dog feces left along sidewalks and on lawns, and the biggest concern by far has been barking dogs. Being a responsible pet owner means keeping your pet on your property or having them on a leash in public areas, picking up after your pets, and ensuring they aren’t barking and disturbing your neighbors. The community is for all to enjoy, day AND night. Responsible dog ownership also means purchasing an annual dog license, due in January of each year. The funds collected support the bylaw enforcement program that is in place. Please come in to the office and fill out a form that will be sent directly to Camrose County Bylaw by Administration, and provide the necessary details to allow the process to work for you, and your neighbors. It will take a community effort to solve this issue and our community will be better for it.